I can’t say that right now it is the best time to invest in yield stocks but Jubak here describes the good valuation and fundamentals of why good high yielding stocks should be added in these times. A glance at all 3 counters would show that actually their yield do not match up to what we can get on an asian context. Perhaps why we get 10% plus yield is probably asian stocks on my Dividend stock tracker are actually smaller cap and higher risk compare to these large companies. Nevertheless, don’t just look at the yield but the ability to increase it and a sustainable future business model. For those of you coming in late, let me start by summarizing the strategy behind my unfixed-income portfolio. Then I’ll move on to telling you why high dividends have provided so little protection this year and the logic behind buying high-dividend stocks now. The strategy, which I’m calling unfixed-income investing, is designed to help you keep up with inflation — and more — while growing the yields of your income investments over time. This strategy starts with common stocks that pay high dividends. My goal is to find equity investments with yields above the percentage paid by five-year Treasury notes (2.94% on Sept. 12) or, even better, above the yield on 10-year Treasury notes (3.71% on Sept 12). And these common stocks should be as safe as or safer than the five- or 10-year Treasurys under current market conditions. Then I add a third criterion: These common stocks should have superior histories of raising dividends year in and year out. It’s this last element that gives income investors a fighting chance to beat today’s low yields and stay ahead of inflation. How does it work? 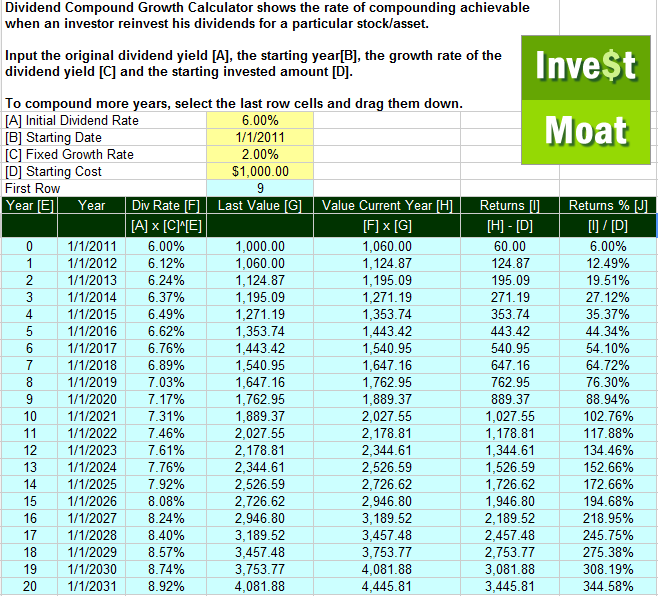 By putting the power of dividend compounding to work for long-term income investors. Let me use US Bancorp, my first unfixed-income pick, as an example of how this works. The yield on US Bancorp — 5.05% on Sept. 12 — is certainly high enough to make the cut. And this conservatively run bank is certainly safe enough. But it is US Bancorp’s commitment to returning 80% of earnings to shareholders that made it the first stock in my unfixed-income portfolio. Combine that commitment with the bank’s steady rate of earnings growth — 8.5% annually over the past five years — and what you get is a stock with constantly increasing dividends for shareholders. In 2003, the stock paid 86 cents a share in dividends. The dividend payment has climbed steadily to $1.70 a share in 2008, an increase of 98%. Look at what the power of dividend compounding can do for US Bancorp’s dividend yield in the long run. If US Bancorp can grow dividends per share by just 10% this year and next — that would be below the average annual 16% increase of the past five years — by April 2010, an investor would be looking at a dividend of $2.06 a share. That would represent a 6.1% yield for an investor who bought at the Sept. 12 closing price. The current yield of 5.05% is great now, when the 10-year Treasury note yields 3.7%. And the 6.1% future yield will look even better if future U.S. interest rates are lower because of slower growth or a huge demand for fixed-income investments from aging boomers. Think of buying a stock like this now as purchasing an option on increasing future dividends and higher yields. Dividend stocks haven’t been safe in this market for two reasons. First, a bear market — and that’s still where we are with the long-term trend still pointing down — acts as a kind of massive margin call on investors. As stocks sink, some investors face actual margin calls. Lenders call them up and ask them to repay the money they borrowed and then used to buy the stocks in their portfolios. Other investors get de facto margin calls. They may need to shrink their balance sheets (as the banks are doing) by selling assets. They may need to sell stocks or bonds to raise cash to meet redemptions from their own investors (as hedge and mutual funds are doing). They may decide they have to sell (as banks, hedge funds and investment banks are doing) to cut the risk in their portfolios, because the cost of financial insurance in the derivatives market is too expensive or simply unavailable. If you have to raise cash in a bear market, you don’t sell only your losers. They’ve already dropped so much in price that selling won’t produce all the cash you need. (And besides, no investor ever likes to sell and admit a loss.) Instead, sellers sell everything. This selling can get really heavy if the investors who have to meet this “margin call” are leveraged at 10- or 20-to-1. That, of course, is exactly the kind of leverage that banks and investment banks used, borrowing and then investing $10 or $20 on every dollar of actual capital. When you’ve got to deleverage to that degree, you sell anything that has held its value reasonably well. The fact that the Dow Jones Utility Average — I’m using utility stocks as a stand-in here for all dividend stocks — was up 16.6% in 2007 made those stocks such attractive selling candidates in 2008. The second reason for the plunge in the price of dividend stocks applies to only some high-yield stocks. The growth strategies at some high-yield companies were themselves built on leverage. When it got hard to borrow more money to buy more assets, these companies had to slow or stop their growth. And many of them had to start deleveraging themselves when lenders told them they wouldn’t renew loans unless the companies put up more collateral or reduced their borrowing. That’s exactly what happened to Macquarie Infrastructure. The company had built a very successful growth strategy on borrowing cheap money and then using it to buy infrastructure assets — toll roads and bridges — that came with a decent cash flow. Because the money to buy that cash flow was borrowed, Macquarie’s initial relatively modest return was multiplied. When you make an investment of $100 million that produces cash flow of $10 million a year, that’s a 10% return. But when you put up only $10 million of your own money and borrow the rest for $5 million — meaning your total outlay is $15 million — then your return, again $10 million, is a huge 67%. The financial crisis and the inability to raise capital hit just about every dividend-paying company built on this structure — from Macquarie to U.S. oil and gas pipeline limited partnerships — to one degree or another, with the severity of the damage depending on how much leverage was used. Understanding these two major reasons for the plunge in the price of what are supposed to be safe, high-yielding stocks should be reassuring to income investors. First, the sell-off in these shares that has resulted from the margin call on the market as a whole hasn’t inflicted any real damage on these companies. Utility shares may have been sold by investors who need to raise cash, but the fundamentals of the utility business aren’t any worse than they were in 2007, when stocks in the sector returned nearly 17%. Second, I think we’ll see a return of the borrow-to-buy-assets model once the credit crunch is over. Companies such as Macquarie were putting their borrowed cash into real and very concrete assets that will be churning out cash flow for decades. Until borrowing gets easy again, these strategies won’t return anything like what they used to. But investors can easily avoid investing in the companies that pursued these leveraged investments until the financial crisis is over. August 11, 2008 — “A rough measure of broad money in the world’s 20 largest economies is growing at near 20%, year-over-year, in dollar terms” (from Grant’s Intereazst Rate Observer,August 8). It’s OK to be confused. It happens to me all the time. I receive about 20 advisory reports ever week, and in my 50 years in this business I can’t ever remember such utter confusion (or let’s call it differences of opinions). Many leading economists can’t even agree as to whether we’re in a recession or not. And yes, the news is awful. The best economists in the nation are warning of bad things to come. Lower house prices, rising home inventories, hundreds of local banks fated to go under, Europe slowing down, foreign stock indices crumbling, commodities collapsing. You want bad news and even worse predictions, they’re a dime a dozen. Ah, but nobody has the ultimate answer to this one — has the stock market discounted the worst — or not? On this crucial count, nobody has the answer to this trillion dollar question. Nobody. There are any number of good arguments as to why we’re in a bear market or a bull market. I want to review some of the evidence on either side of the puzzle. First, volatility is currently high — the VIX has been running over the 20 level for months on end. High volatility is a characteristic of bear markets. High volatility is usually a result of huge differences in opinions. One day the bulls run the stock market higher, the next day the bears hammer it down. In bull markets, volatility tends to be on the low side. Big-move days are rarer, and the advances tend to be steady and relatively calm. High volatility is a bear market characteristic. So score one for the bears. Last week saw the Dow up over 300 points on two separate days. But those big surges did not have the power that typical advances have, following the turn up from a bear market bottom. Neither of last week’s 300-point Dow advances was a 90% up-day. The market acted more like an oversold bounce with added short covering. Score another for the bears. Investor’s seem to be somewhat discouraged but not panicked and not desperate. At true bear market bottoms sentiment tends to be black-bearish. We haven’t been there yet. All the above are in favor of the bear market designation. The action has not been typical bull market action. If we are in a bear market, then following the current rally, the market will turn down again to test, and probably violate, the July l4 lows (Dow 10962.44). Following are the bull’s arguments (the bull stance is that the decline from the 2007 highs was a deceptive and atypical correction in an ongoing bull market). Following their January 17 lows, the D-J Transportation Average rallied, then backed off, but the Transports never even hinted of confirming the series of new lows set by the D-J Industrial Average. As of last Friday, the Transports closed a huge 1075 points above their January 17 low of 4140.29. This is hardly bear market action. As a matter of fact, as of last Friday the Transports were only 231 points below their all-time high recorded in July 2007. The recent bull market advance started in October 2002 at Dow 7286. The advance carried the to Dow 14164 in October 2007. The 50% or halfway level of that entire advance comes in at 10725. According to the 50% Principle, it would be bullish if the Dow on any and all declines holds above 10725, the halfway level. On July 15 the Dow declined to 10962.54. That decline halted exactly 237 points ABOVE the 10725 or 50% level. Was that a coincidence? Or was the market trying to tell us something? Was the fact that the Dow halted its decline 237 points above the 10725 level a significant (but unpublicized) bullish act? Below we see a Point&Figure chart of the very broad Wilshire 5000 stock index. I’ve been directing subscribers’ attentions to this chart. Note that the Wilshire plummeted to a low at the 12250 box. From there it rallied up to the 13150 box. In fact, the Wilshire rallied to the 13150 box twice, and each time it was turned back. Note the tight consolidation. Then last week the Wilshire (last column of green boxes) broke out to the upside. Following the obvious consolidation, I have to consider last week’s breakout as bullish. And the rally continued today. The 13150 level on the Wilshire should now represent support on any further weakness. Price action trumps all other considerations. Give the bulls a gold ring and a cigar. Well, at least so far. I’ll be honest. I am impressed by the Lowry’s argument that suggests that the July 15 was not a legitimate bottom for this market. But I’m also impressed by the bullish arguments that I laid out in the section above. Very frankly, I can’t come to a firm conclusion as to whether we’re dealing with a bull or a bear market. Sometimes you just have to wait and allow the market to tell its story. Remember, we may be in a hurry, but the market never is. Fred Hickey, who writes the great “The High-Tech Strategist” report, expects the market to fool everybody and head down while at the same time he expects gold to head higher. My old buddy, Joe Granville, who’s been great at calling the shots, now expects the market to head higher into the Dow 1200s. “Yes, the financial news gets worse every day. Yes, the average stock is down more than 25% over the past thirteen months. Yes, the housing market is still reeling and foreclosure activity is rising. Yes, the price of gas is skyrocketing. And yes, this too will pass, and the economy and stock market will begin a new expansion and sustainable bull market, as all business cycles have. “Over our several decades of investment management experience, we have witnessed many business cycle recessions and stock market declines. They all have one thing in common. In the midst of the most negative financial news, the stock market (fulfilling its role as an accurate leading economic indicator) begins to move higher in anticipation of the next economic recovery. We believe the market has more than discounted all the bad news out there and is putting the finishing touches on the bottoming process for stocks. Yes, a significant advance is set to begin that will take stocks much higher in the year ahead.” (Thanks to David Fuller of FullerMoney out of London for the above). Me, I’m going to stay largely in cash and gold for a while, but I’ll keep adding top-quality dividend-paying stocks to the compounding portfolios that I manage (stocks added — GE, JNJ, PG, MCD). expected to produce realized capital gains; income-producing investments are expected to generate cash flow. 1. Develop an investment plan. Identify realistic goals that include considerations of time, risk-tolerance, and future income requirements— think about where you are going before you start moving in the wrong direction. A well thought out plan will not need frequent adjustments. A well-managed plan will not be susceptible to the addition of trendy speculations. 4. Never fall in love with a security, particularly when the company was once your employer. It’s alarming how often accounting and other professionals refuse to fix the resultant single-issue portfolios. Aside from the love issue, this becomes an unwilling-to-pay-the-taxes problem that often brings the unrealized gain to the Schedule D as a realized loss. No profit, in either class of securities, should ever go unrealized. A target profit must be established as part of your plan. 5. Prevent “analysis paralysis” from short-circuiting your decision-making powers. An overdose of information will cause confusion, hindsight, and an inability to distinguish between research and sales materials— quite often the same document. 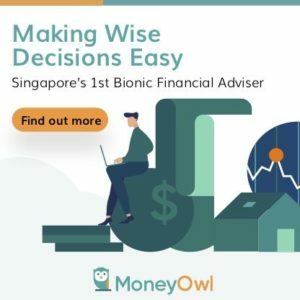 A somewhat narrow focus on information that supports a logical and well-documented investment strategy will be more productive in the long run. Avoid future predictors. 6. Burn, delete, toss out the window any short cuts or gimmicks that are supposed to provide instant stock picking success with minimum effort. Don’t allow your portfolio to become a hodgepodge of mutual funds, index ETFs, partnerships, pennies, hedges, shorts, strips, metals, grains, options, currencies, etc. Consumers’ obsession with products underlines how Wall Street has made it impossible for financial professionals to survive without them. Remember: consumers buy products; investors select securities. 7. Attend a workshop on interest rate expectation (IRE) sensitive securities and learn how to deal appropriately with changes in their market value— in either direction. The income portion of your portfolio must be looked at separately from the growth portion. Bottom line market value changes must be expected and understood, not reacted to with either fear or greed. Fixed income does not mean fixed price. Few investors ever realize (in either sense) the full power of this portion of their portfolio. 8. Ignore Mother Nature’s evil twin daughters, speculation and pessimism. They’ll con you into buying at market peaks and panicking when prices fall, ignoring the cyclical opportunities provided by Momma. Never buy at all time high prices or overload the portfolio with current story stocks. Buy good companies, little by little, at lower prices and avoid the typical investor’s buy high, sell low frustration. 9. Step away from calendar year, market value thinking. Most investment errors involve unrealistic time horizon, and/or “apples to oranges” performance comparisons. The get rich slowly path is a more reliable investment road that Wall Street has allowed to become overgrown, if not abandoned. Portfolio growth is rarely a straight-up arrow and short-term comparisons with unrelated indices, averages or strategies simply produce detours that speed progress away from original portfolio goals. 10. Avoid the cheap, the easy, the confusing, the most popular, the future knowing, and the one-size-fits-all. There are no freebies or sure things on Wall Street, and the further you stray from conventional stocks and bonds, the more risk you are adding to your portfolio. When cheap is an investor’s primary concern, what he gets will generally be worth the price.